The Zeiss CZ.2 28-80mm T2.9 PL Mount Lens is a relatively lightweight zoom inside a robust cine-style metal housing. It is designed for full frame sensors but will also pair with APS-C/H and Super 35 sensor cameras. It features calibrated focus scales, 4K-ready optics, and exhibits no focus shift ("breathing") over the zoom range. 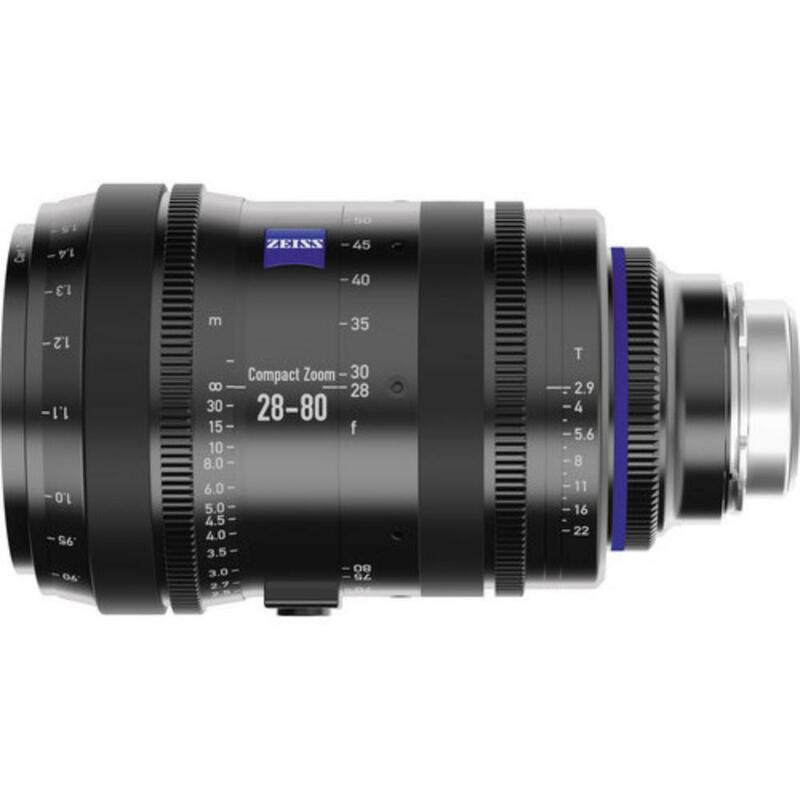 This lens is ideal for mid-range focal length handheld and Steadicam applications for narrative and documentary videography. • This lens is compatible with PL mount cameras in both full frame and Super 35. The focal length equivalent on Super 35 is approximately 39.2-112mm. • We strongly encourage the use of a rail support system (like the Cinema Bundle or EyeSpy) with this lens as the PL mount was not intended to support such a large lens without additional support.